Remember Suzuki RV125 VanVan, which was an old generation sporty looking motorcycle from 1972 to 1982. In 2003, the motorcycle was relaunched with a new engine. But none of this was launched in US market. Now the all new Suzuki VanVan 200 is set to be launched in US with a 199 cc engine, much larger than the previous ones. 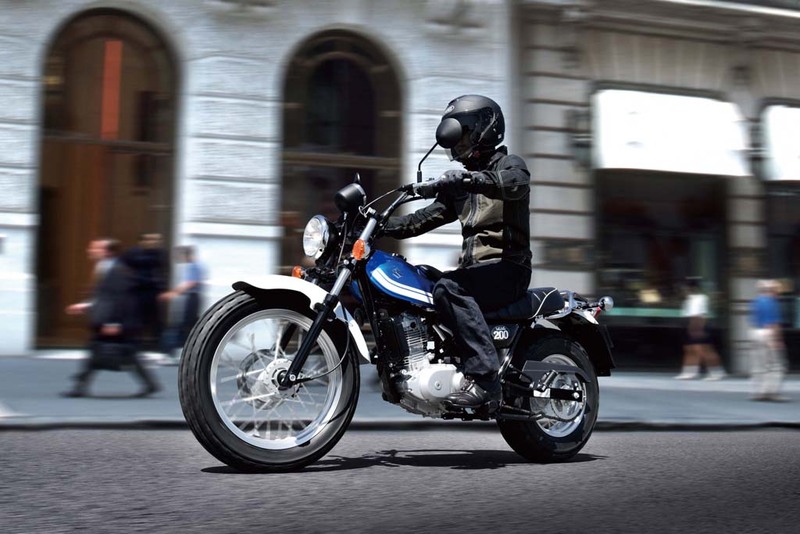 The all new Suzuki VanVan 200 was first showcased at the 2015 EICMA. The retro looking motorcycle garnered much appreciation and appraisal. 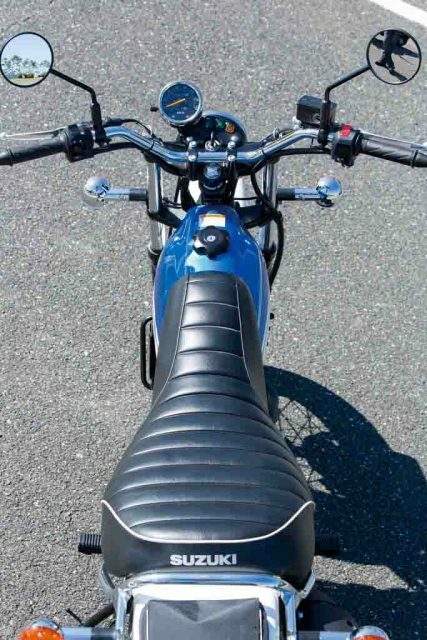 It sports the same old sports bike appearance, which brings back the retro charm. The design cue has been taken from the old 125 cc model. The engine is positioned at the centre of the diamond pattern steel frame. 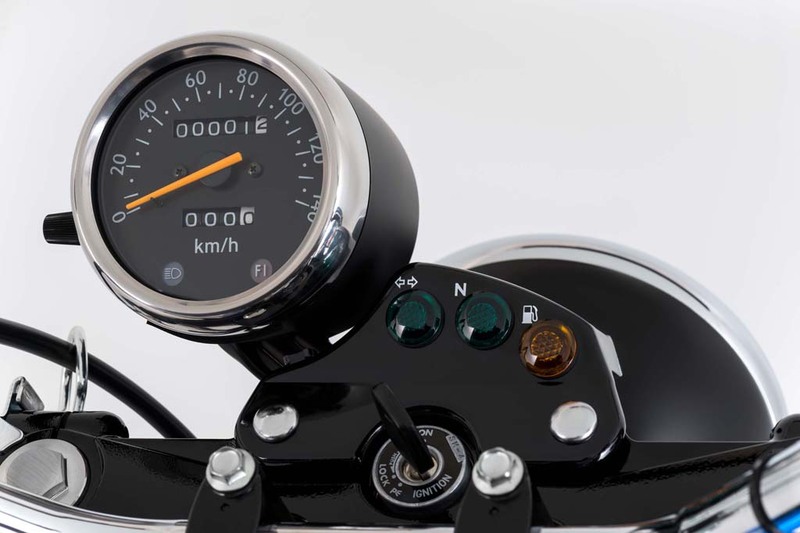 The round shaped headlamp, a single round dial at the instrument panel, high raised handle bars, sleek fuel tank, retro style seats and side turning indicators at both the front and rear are the features to win your hearts, if you love the old school look. The exhaust is positioned in a high slung manner and it gets a bullet like shape. Incidentally the sleek fuel tank gave the old 125 cc model vehement popularity. It seems the Japanese two wheeler maker couldn’t ignore that. The power source for the Suzuki VanVan 200 is a 199 cc air cooled four stroke OHC engine, which is mated to a 5 speed transmission. Suzuki claims the engine and transmission is dedicated to deliver brisk acceleration and smooth cruising. Incidentally, this same engine is available in the Suzuki DR200S as well. 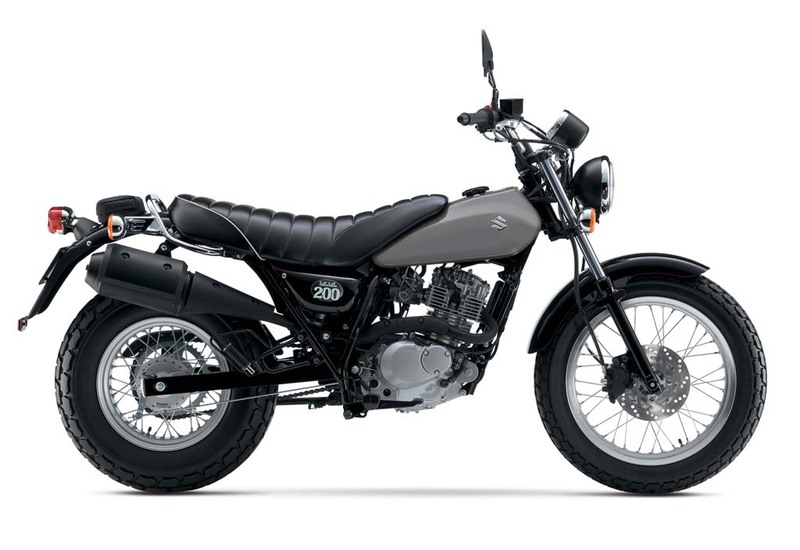 Suzuki VanVan 200 is the fourth motorcycle from the company in US with sub 250 cc engines. The other models are the TU250X, GW250 and DR200S. The motorcycle has been designed to impress a wide range of riders, from beginners to professional riders. It will be available in two different colour options, which are Metallic Triton Blue and Metallic Matte Fibroin Gray. Price tag for the motorcycle is $4,599.